As most of you have heard by now, the Economic Forum estimated the state is $800 million in the red for this current budget. Gov. Jim Gibbons is expected to call a special session during his State of the State address on February 8. 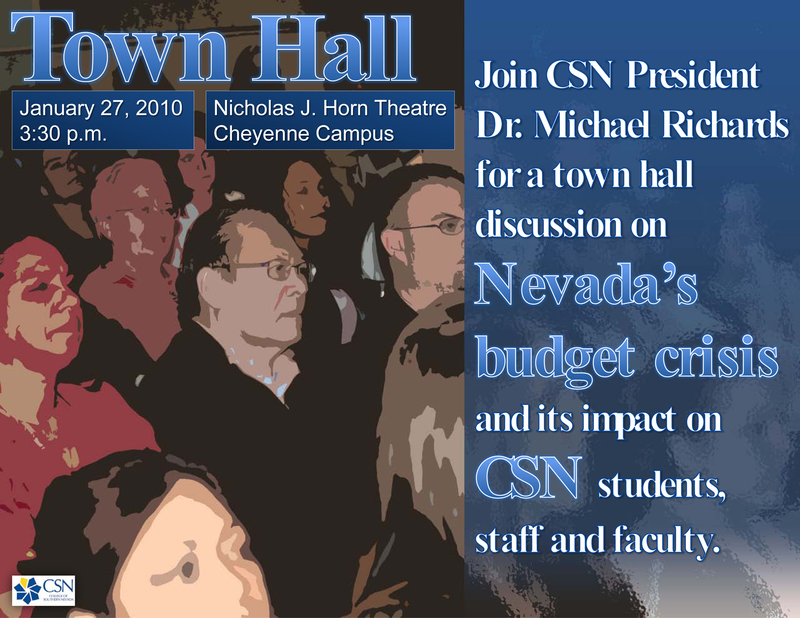 Tomorrow, Chancellor Klaich and several regents will join me for a town hall at the Nicholas J. Horn Theatre at 3:30 p.m. to discuss the budget outlook and what it could mean for CSN. I hope you can make it. Keep checking back on this blog for further information. This entry was posted in Budget News and tagged Budget News, college of southern nevada, President Richards, Town hall. Bookmark the permalink.